Catch the final of the CSA Provincial One-Day Cup between Northerns and Easterns at SuperSport Park in Centurion. 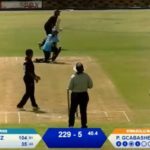 Northerns secured a mammoth 147-run win over KwaZulu-Natal Coastal during their CSA Women’s National Week encounter last week Tuesday, thanks to a world-class century from Mignon du Preez. Northerns clinched third place in the CSA Women’s National Week by thumping Free State by nine wickets, thanks to a brilliant unbeaten captain’s knock from Sune Luus after having taken 4-16 in the first innings. KwaZulu-Natal Coastal clinched a narrow one-wicket victory over Gauteng to secure fifth place at the CSA Women’s National Week after a sensational 5-14 by Kiara Fischer. 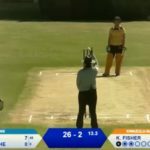 Border thumped Boland by 97 runs last Friday to secure seventh place at the end of the CSA Women’s National Week at the University of Free State in Bloemfontein. Gauteng thumped KwaZulu-Natal Coastal during the CSA Women’s National Week last Wednesday after Raisibe Ntozakhe, Yolande Fourie and Shabnim Ismail picked up three wickets apiece. 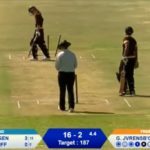 Free State strolled to a comfortable 73-run win over Boland after a fiery fifer from Gezelle Janse van Rensburg following a well-played half-century from Izelle Cilliers. Western Province clinched a convincing 81-run win over Border last Wednesday, thanks to a sensational century from captain and opener Laura Wolvaardt along with Leah Jones’ 4-37. 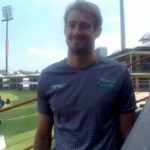 Daryn Dupavillon chats to SACricketmag.com’s ANITHA MADIKIZELA about his return to the Dolphins’ setup after a long struggle with injury and shares his intelligence rating by the team. Gauteng thumped Boland by six wickets on Thursday following fantastic bowling from openers Shabnim Ismail and Lehlohonolo Sardick alongside a blistering Raisibe Ntozakhe. 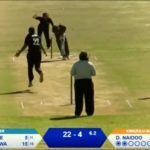 KwaZulu-Natal Coastal cruised to a five-wicket victory over Border in less than 19 overs after Jade de Figueiredo picked up 4-11 in five overs during the opposition’s innings. Western Province bagged a comfortable six-wicket victory over Free State on Monday, thanks to captain and Proteas’ opener Laura Wolvaardt’s unbeaten run-a-ball century. North West made light work of their encounter against Free State during the CSA Women’s National Week on Thursday. 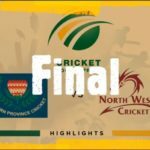 They won by eight wicketsy thanks to an unbeaten half-century from captain Tazmin Brits.